After graduating with a degree in Greek and Roman Studies from Birmingham University in 1996 and a career spanning ten years as an Account Manager in the Brewing Industry, Emma re-trained to become a Solicitor. Emma has worked within Shropshire Law firms in a Conveyancing role since 2009 and is experienced in all aspects of residential conveyancing. She has built up a reputation for reliable and efficient conveyancing along with sound and pragmatic advice to her clients. 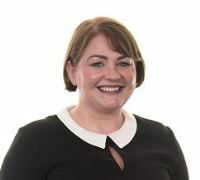 Emma also has a background in Wills, Probate and Estate Planning, ensuring a holistic approach to clients’ legal affairs. In her spare time Emma enjoys spending time with her family, singing and supporting her children at various sporting events.